Day 1 of Bermuda International Invitational Race week got underway in blustery winds from the South-South East allowing for only 2 of the scheduled 5 races to take place. Winds were 18 - 20 knots with gusts to 23 knots when the Race Officer, Somers Kempe, flew the 'rest of races abandoned for the day' signal and sent the fleet of 4 ashore. Both races in the Etchells Class were won by Canadian Jay Cross, sailing with Dirk Kneulman and Andreas Josenhans. 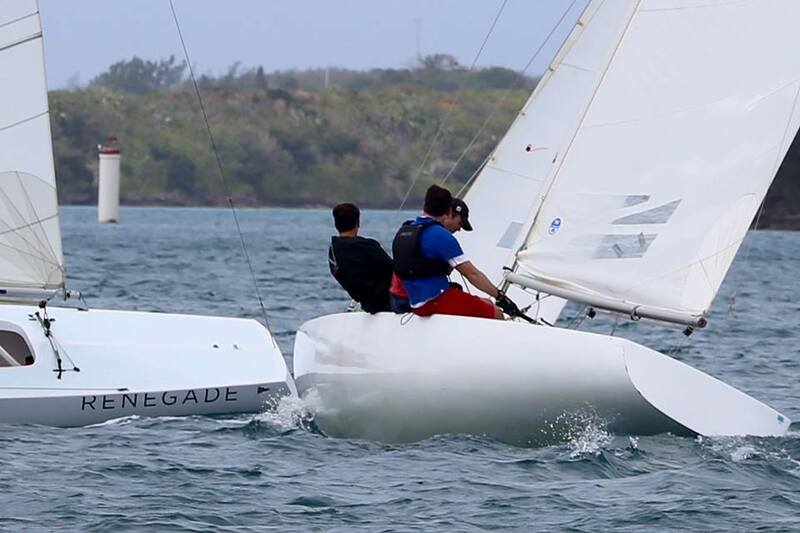 After a second place in race 1, Bermuda's Tim Patton suffered boat damage and was unable to start the second race.